How Many Clients Should You See Per Day In Private Practice? Are you trying to figure out how many people you need to see in order to make a decent salary in private practice? Want to figure out what an “average” caseload looks like in private practice? Struggling to balance work and home life in your new practice? If you are struggling with figuring out how many clients you need to see in private practice, then you are asking the wrong question. Why Is “How Many?” The wrong question? Because it assumes that there is an answer! The truth is that there is no magic formula for “how many” clients you should see in private practice. It is YOUR business. The better question to ask is “What kind of schedule DO I WANT?” Because, the real truth is that if you set good boundaries from the beginning, your ideal clients will work within those limits. If you stretch yourself thin trying to accommodate clients by working late nights and weekends, or by seeing ten clients per day, you will quickly come to resent your practice just as much as you would an agency job. The truth about caseloads is that some clinicians WANT to work on weekends or late at night. Some clinicians have physical limitations and only WANT to see three clients per day. Others are young and ambitious and see ten clients in one day. You SHOULD see as many clients as you want to see during the days and times that you want to work. Sounds great, right? That is the dream of private practice. That’s B.S. If therapy is important, your clients will find a way to make time in their schedule. I have a busy private practice and see only children (school-aged children!). And, inevitably, when people call, they tell me that they need after school appointments. And, I am able to accommodate some people with after school appointments. But, there are not enough hours in the day for me to see everyone’s child after school. Not to mention, I have three toddlers to take care of and who I want to see before they go to bed! The bottom line is that parents that feel that therapy is a priority will find a time in the school schedule and make it work. Because your service is valuable. Just like a pediatrician appointment or a dentist appointment or anything else. I work with my families as much as I can, but I NEVER NEVER NEVER EVER work weekends and I am ALWAYS ALWAYS ALWAYS home to eat dinner with my own children and put them to bed. In order to be successful, you need to address you own anxieties about your worth and value. And you need to model good boundaries and limits to your clients. The fear of failure cannot control your schedule and caseload. Sometimes the desire to earn 100k in private practice means that you try to squeeze in 12 clients into every day. Or, that you are only scheduling clients and not saving time for administrative tasks (so you end up doing in at home at midnight). Set a salary goal, divide that by your ideal schedule of clients and figure out what you need to charge to get there. If that number is unreasonable-look at other passive income sources (speaking, supervision, products, seminars, etc.) that can help get you there. You might try to please clients by squeezing in an emergency session on your lunch break. Or, your sessions run over the time limit and so you are working late to catch up throughout the day. If your time management is creating chaos in your schedule, you need to find ways to manage that. Monday morning is my most productive time. I use it to work on this huge project I am working on for an eBook and online course or to write blogs or do other creative brainstorming. (And usually, get a work out in). Tuesday is a full day with seven or eight clients. I have a 30-minute break in the morning to return phone calls and a 2-hour lunch break. I can focus on clients on Tuesday because I spent Monday getting my “fun” projects moving for the week. Similar to Monday, I use the morning to non-direct client activities. 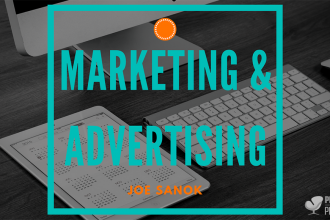 Blogs, marketing, paperwork, etc. Sometimes I use this time to schedule personal appointments, go shopping or clean my house. Morning: one client before I teach a graduate school class at our local University. If I am not teaching, then I usually see three clients. Afternoon: OFF for one on one time with my kids. (Currently, ballet classes with my daughter) but sometimes a trip to the pool or splash pad with the boys. Six clients (three in the morning and three in the afternoon). I have a one-hour lunch break and leave an hour early on Fridays. That’s somewhere between 24-26 clients per week. I have a very liberal no-show policy that I have talked about before. Usually if someone cancels, I am able to rebook it easily. But if not, I spend that time working on my special projects! 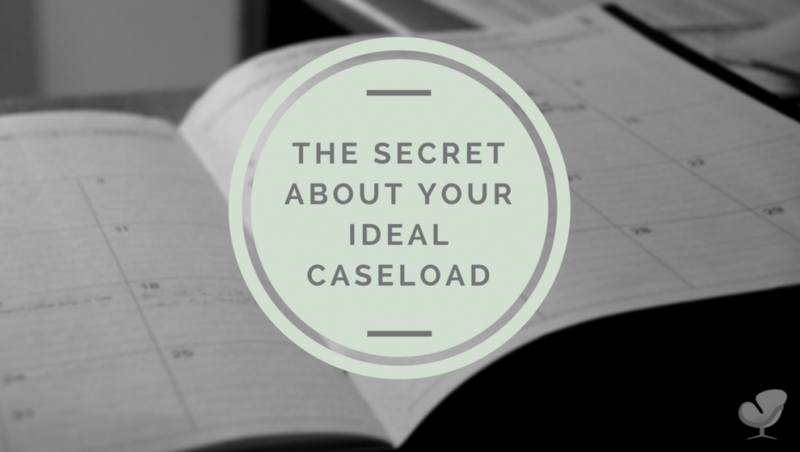 What is your ideal caseload?